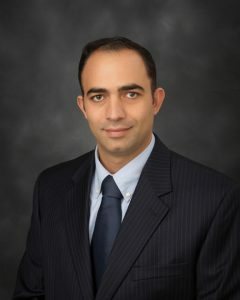 Dr. Eyad Kakish graduated from medical school at the University of Jordan and completed his residency training at Creighton University in Omaha, NE. He is a board certified family physician, and has been practicing medicine for more than 11 years. Dr. Kakish has a wide range of skills as a family physician, a Hospitalist and covering emergency rooms. He is also a member of the American academy of antiaging medicine and enrolled in the fellowship program that specializes in Bio identical hormone replacement therapy and functional medicine. He believes in promoting a healthy lifestyle, supporting good nutrition and utilizing hormonal balance to slow the aging process. Using advanced laboratory and physical testing. Dr. Kakish is able to perform a thorough evaluation and provide a specialized program for each patient to achieve and maintain their ideal health through optimal hormone and nutrition balance. 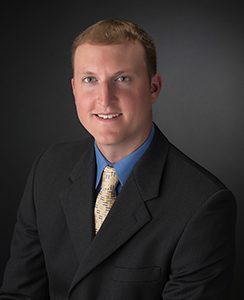 Wyatt grew up in the area, and graduated from Nebraska Wesleyan University. He graduated from PA school in Florida in 2012 and returned to the Council Bluffs/ Omaha area. He has been practicing in Council Bluffs for the last 6 years. He gained extensive knowledge and skills while practicing with Dr. Sadr, who was a well respected Internal Medicine Physician in the community. He is dedicated to developing a strong relationship with his patients and spends the time needed to keep them healthy. Samantha graduated with her Master’s in nursing from Clarkson College, in Omaha, Ne., in April 2016. She is a board certified family nurse practitioner with over 10 years of combined certified nursing assistant, registered nurse, and nurse practitioner experience. As a registered nurse, she gained valuable knowledge and skills in the hospital, home, rehab, and long-term acute care settings. She joined Convenient Care in May 2016. In addition to working at the clinic, she works part-time as a hospitalist at Immanuel Hospital. She is also a part-time fitness instructor and coach at Farrell’s Extreme Body Shaping in Omaha, NE. She is dedicated to serving the needs of her patients whether for acute issues such as sinus infections or colds to chronic care management of diseases such diabetes or high blood pressure. Samantha has combined her skills as a nurse practitioner and fitness instructor into a Wellness Program at the clinic, which is focused on helping people make healthy life long- lasting life style changes.